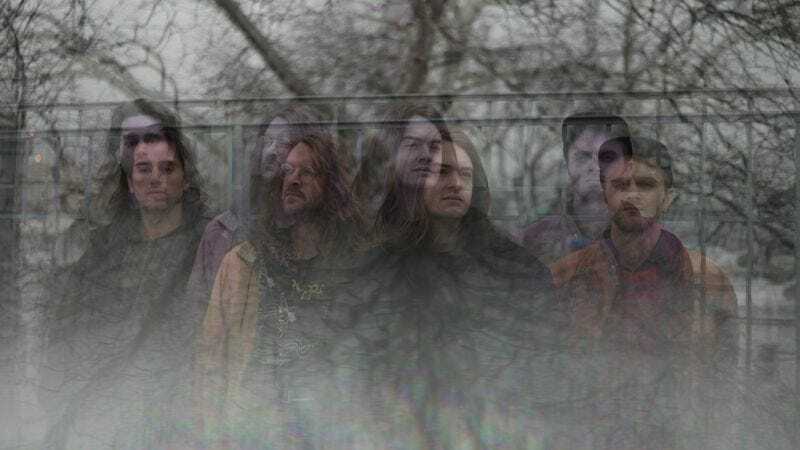 Liturgy mastermind/whipping boy Hunter Hunt-Hendrix has attracted acclaim from critics and disdain from metal purists ever since his “transcendental black metal” band first crawled out of the gentrified hamlet of Brooklyn in 2008. 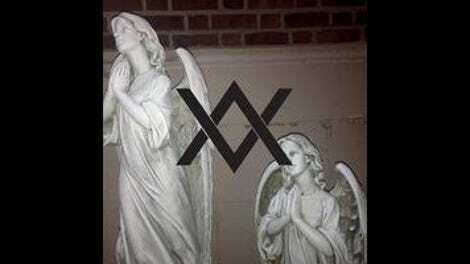 Now, after releasing two albums that toyed with the parameters of black metal, Liturgy obliterates any remaining loyalty to that genre, or any genre, with its third full-length The Ark Work. In just under an hour, the band traverses a black hole of overblown regal rock, MIDI-meltdowns, and Castlevania rap, creating a strange universe with even stranger bedfellows: medieval chants adopt Southern hip-hop flows, twinkling percussion oozes into digital glitches, horns parry with guitars. It’s all very overwrought and draining, sometimes sounding more like a baroque construction site than music. But it’s also utterly captivating, transcending pastiche and coming off like some disorienting super-genre that will never be heard again. To achieve this, Hunt-Hendrix conducts a mini-orchestra composed of real and synthetic versions of instruments like church bells and bagpipes. Whether it’s chintzy bugles fit for a Medieval Times king on “Fanfare” or the canned strings and glockenspiel that adorn “Follow II,” Hunt-Hendrix’s so-called “integral tremolo” unifies everything, making the instruments vibrate in a wave of trills that’s always on the verge of breaking. These overstuffed arrangements can be distracting, but the sheer variety of sounds keeps everything from blurring into a monolithic drone, that common black metal pitfall. Even more radical than the instrumentation is Hunt-Hendrix’s choice to sing in an atonal chant partial to a goth-Migos cadence. It’s baffling, especially because his trademark shriek could have served as a visceral counterpoint to the cerebral self-indulgence of the album. Fortunately, a handful of pure metal moments provide that anchor to ground all the cross-breeding. As always, drummer Greg Fox is an absolute beast, and when the band’s shred-thud core gets the spotlight, like on the doom-laden “Father Vorizen,” it’s to colossal effect. This interplay hits an apex on “Reign Array,” a flummoxing, nearly 12-minute black metal opera littered with Burzum-style synths, Korn-style bagpipes, blazing guitars, strings, and not a single modicum of restraint. Like prog-metal oddities from, say, Tool, such fare will surely inspire a small contingent of fans to declare, “You just don’t get it, man,” as detractors mock it mercilessly. And there’s plenty to mock. The scenery-chewing marching band brass, the eschatological ecstasy rap of “Vitriol,” the unfortunate “Father Vorizen”/Verizon homophone—even on paper these seem wack. But that’s the point: Hunt-Hendrix said flat-out he wants the album to make people uncomfortable. There’s artistic merit to that degree of absurdity. It follows in a tradition of maximalist metal iconoclasm tracing back to Hammerheart and Into The Pandemonium, while finding kindred spirits in the conceptual genre-clashing of M.I.A. or PC Music. What keeps The Ark Work from being just another metal album with non-metal influences, and elevates it above a post-modern stunt, is the uncompromising, uncategorizable beast that results from this vision. It’s unwieldy, and it may not be as purely enjoyable as Aesthetica, but it’s a singular musical achievement.